There are some key differences when it comes to the management of condominium versus homeowners associations in Florida. For example, this includes the ability to charge capital contribution fees, or the one-time charges associated with any transfer of title part of the association. For Florida homeowners’ associations, these fees typically range from $400 to $5,000, and are charged in order to ensure that there are finances in the association’s’ operating account (or capital reserves) once the developer leaves. These fees usually cover between one and three months of the association’s annual assessment amount. In general, while condominium associations face certain restrictions when it comes to fees like these, homeowners’ associations, conversely, can charge these fees to new owners and/or to process lease applications. Under Florida law, the state legislature must first approve any fees charged to owners and tenants when it comes to condo associations. While developers can charge these fees to the original purchasers, they can no longer charge them once turnover has occurred. Thus, for example, fees associated with processing a lease or sales application, or transfer fees, cannot exceed $100 per applicant (other than a husband/wife or parent/child, both of which are considered to be one applicant). However, the Florida Condominium Act does not apply to homeowners’ associations. Homeowners’ associations can set forth any fee they feel is necessary as long as it is detailed in the relevant declaration of covenants (aka governing documents). What this means is that even after turnover from the developer, members of homeowners’ associations can continue to charge transfer fees on resales as long as the transfer fees are regulated by the association’s documents. In addition, homeowners’ association members can always amend the documents after developer turnover to increase (or decrease) the fee amounts. 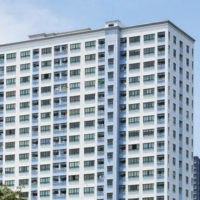 The law generally treats condo associations differently from homeowners’ associations because condos involve individuals and families living closer together, as they would in cities, and thus the law tends to favor having more rules and restrictions in place for condos. However, that’s not to say that there are no restrictions whatsoever on to what extent associations can make and collect assessments and to lease, maintain, repair, etc. association property; for example, the association may not charge a use fee against a unit owner for the use of common elements or association property unless it is otherwise provided for in the declaration or by a majority vote of the association (or unless the charges relate to the expenses incurred by an owner having exclusive use of the common elements or association property). Homeowners’ association managers and owners play important roles in maintaining the operations and upkeep in many living communities here in Florida. When it comes to ensuring that your association is in compliance with the law, having the right lawyer on your side is a key element towards ensuring your success. At HD Law Partners, our homeowners and condominium association attorneys provide experienced legal representation you can count on. With over 40 years’ combined experience, we can provide the expertise to help ensure your property’s interests and assets are protected. Contact us today to find out how we can help you.